Listen to "Learn to Speak Japanese: English-Japanese Phrase and Word Audio Book" on your iOS and Android device. This book covers a wide range of vocabulary used in day to day communication with useful selection of expressions, sentence structures and phrases in Japanese. 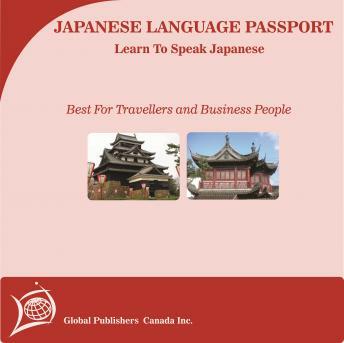 This is an easy, interesting and efficient method for learning key phrases that will help you prepare for your trip to countries and places where Japanese is spoken. Being able to speak the language of the country you are visiting is a great way to connect with local people, learn their culture and do business. Listen, Repeat, Practice and Speak Japanese! Download your copy today and get ready for your great trip!